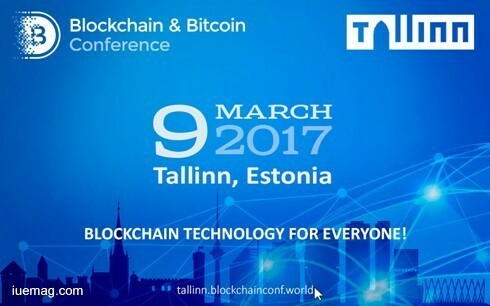 Tallinn shall host the first large conference devoted to Blockchain and Cryptocurrencies on March 9, 2017! The first large conference for Blockchain developers and businessmen - Blockchain & Bitcoin Conference - will be held in Tallinn on March 9, 2017. Representatives of leading IT companies, authors of start-ups and everyone who is interested in Blockchain technologies will come together. We invite everyone who is interested in the development of blockchain technologies, smart contracts and cryptocurrency services to spend the whole day with likeminded people. Blockchain & Bitcoin Conference is a net of conferences which comprises Russia, Ukraine, Czech Republic - and Estonia. The last event which took place on November 10 in Moscow was visited by the representatives of IBM, Microsoft, Sberbank, "Skolkovo", Higher School of Economics as well as Russian government. The guests of the Tallinn conference will discuss creation and implementation of blockchain-based solutions for government projects, banking systems, trading, media, healthcare and other spheres. Estonia is the leader in IT sphere with Blockchain developments supported on the national level. There is a project aimed at transferring medical charts into Blockchain for data protection and doctors' quick access to them. At the same time, the country, which has Wi-Fi almost in every corner, is implementing a series of IT projects. In particular, one of them is aimed at giving electronic citizenship to employable people from other countries. Estonian infrastructure is ready for the brightest IT start-ups and Blockchain & Bitcoin Conference is the place where developers, businessmen and investors will meet. The event will be helpful for financial experts, IT developers and businessmen working with cryptocurrencies, blockchain and smart contracts. Among speakers, one can find founders and managing directors of payment services and bitcoin wallets, as well as lawyers and marketing experts, specializing in the sphere of digital currencies. Software and equipment developers shall present their new and reputable solutions. Exhibition area may help visitors to determine what equipment or technology should be purchased in order to optimize their business, to engage with the current trends and increase profits. Participants will discuss Blockchain solutions in governance (Govtech) as well as developments of various business spheres: banking, trading, notary services, healthcare, logistics, retail. The conference is co-organised by the event management company Smile-Expo. The list of participants is yet to be published, but the organisers believe it will attract a number of major IT companies as well as government officials.